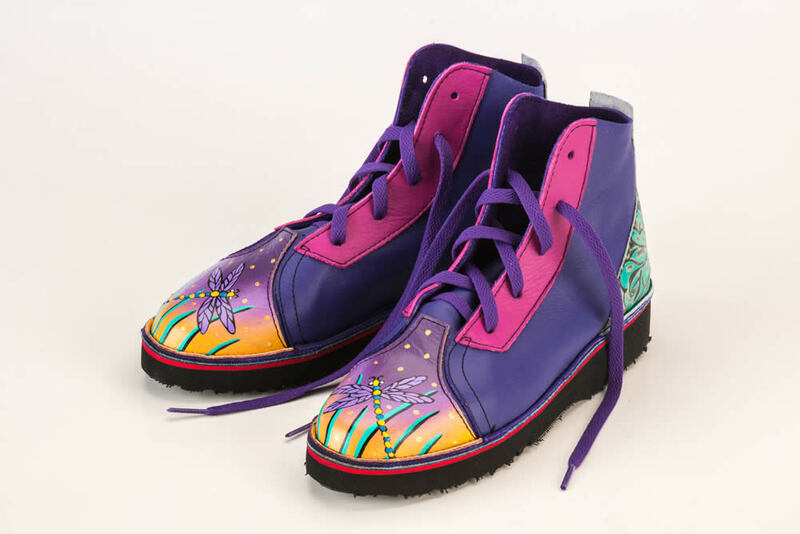 THE GREATEST ART SHOES IN THE UNIVERSE ARE HERE. AND WE’LL HAPPILY MAKE A PAIR JUST FOR YOU! 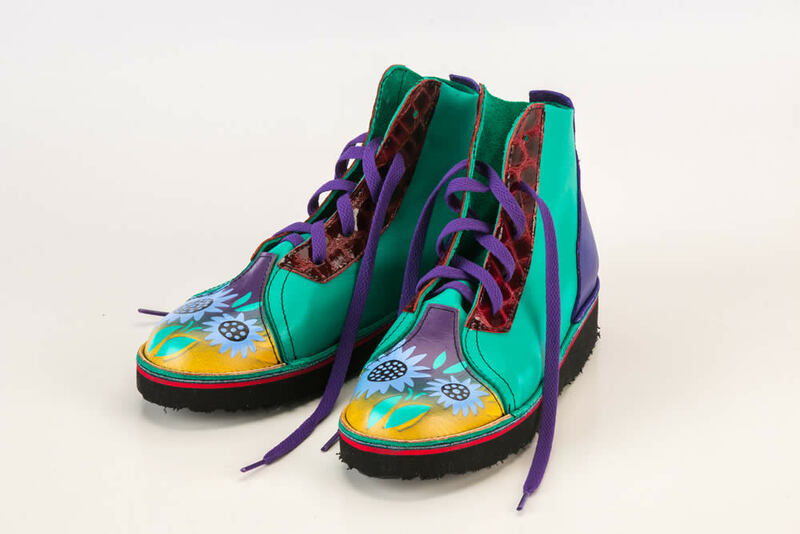 Custom handmade shoes from Kool Shoos – pick from customer favorites or design your own. Popular design combinations for an easy pick. 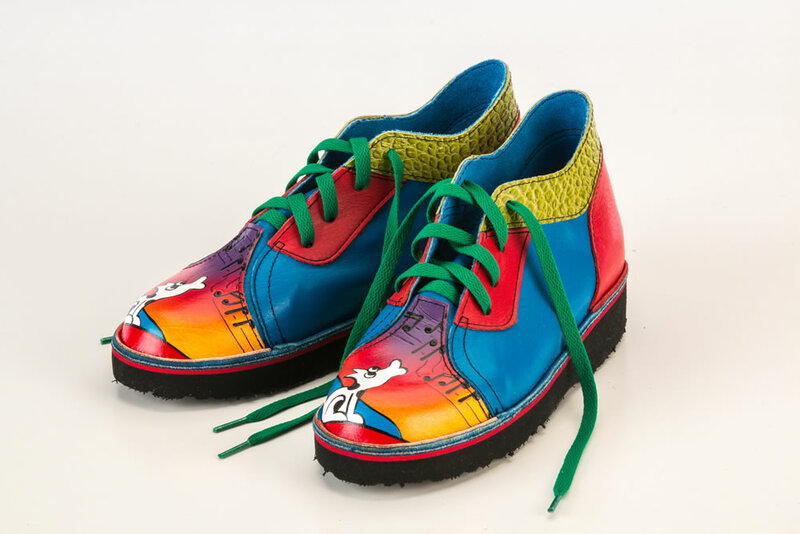 These shoes are hand-cobbled by Mark Carter in Prescott, Arizona, and are the funkiest shoes anywhere in the wearable art world. 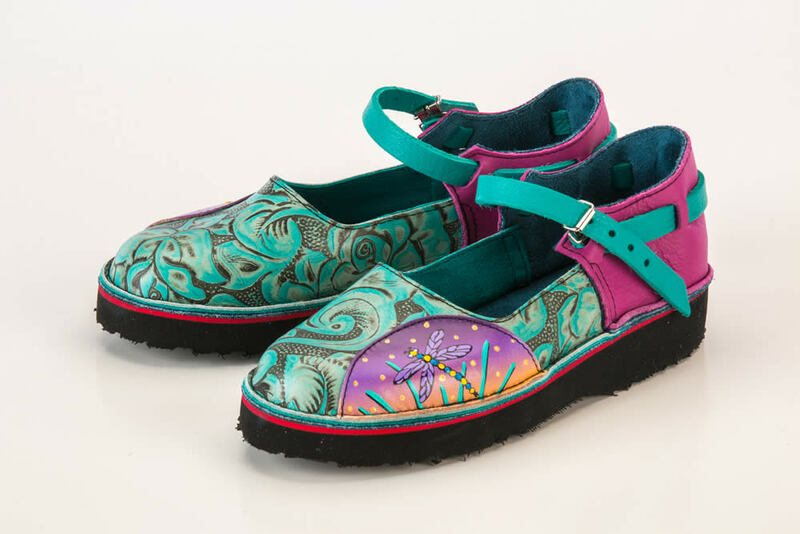 Each and every shoe is handmade and hand-painted, and is fun, cool and comfy. Pick your own colors, textures and toe designs. What are Kool Shoos Anyway? First of all, they’re more durable than you’d think. Fear no rain, puddles, or snow drifts. They are water-resistant, and with a little care, can remain in good condition for many years. 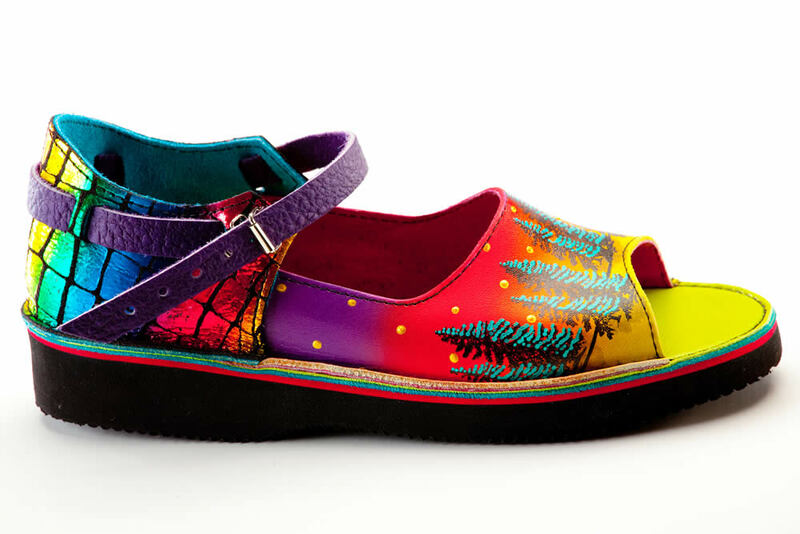 We show our shoes at various art and craft fairs, and offer them in select galleries. They might be coming to a city near you!